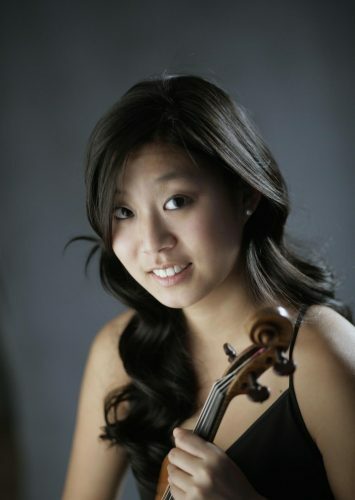 California born violinist, Hannah Chung, has established herself as a soloist, chamber musician, and orchestral player. She began her studies at the age of five and soon after, her family moved to Vancouver where she continued her studies with Lawrie Hill at VAM. She made her orchestral debut at the age of 12 at Meany Hall in Seattle, Washington and has since then performed throughout Europe, Asia, and North and South America. A participant of many festivals including the Casalmaggiore International, Le Conservatoire Americain de Fontainbleau, Texas Music Festival, and Ishikawa Music Festival, Hannah has worked with many esteemed violin pedagogues, which include Koichiro Harada, Nam Yun Kim, Krystof Werzyn, and Taras Gabora. As an avid chamber musician, she has worked with various ensembles; Penderecki, Takacs, Pacifica, American, and Arianna quartets. She has been a jury member for the New York International Music Festival as well as a faculty member of the ACSI Youth Symphony Orchestra of Korea, which promotes an atmosphere to pre college students who are both mentally disabled and able bodied. While pursuing her love of performing, she continues to follow her passion for teaching, especially to those with special needs. She completed her undergraduate studies with Martin Chalifour at University of Southern California as well as her master’s degree with Lucie Robert at the Manhattan School of Music.